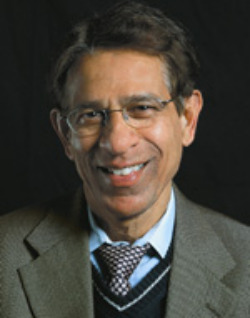 Dilip Jeste is also the Principal Investigator on several research and training grants, including Summer Research Institute in Geriatric Psychiatry, a national research training program. Dr. Jeste obtained his medical education in Poona, and psychiatry training in Bombay, India. In the USA, he completed his psychiatry residency at Cornell University, and Neurology residency at George Washington University. He was a research fellow, and later, Chief of the Units on Movement Disorders and Dementias at the NIMH before before joining UCSD in 1986. He has been President of the American Association of Geriatric Psychiatry, and International College of Geriatric Psychoneuropharmacology, and is Editor of the American Journal of Geriatric Psychiatry.